The first (short) month of my Patreon creations is now wrapped up and there’s a whole new year ahead of us. During the December I published 11 maps altogether. 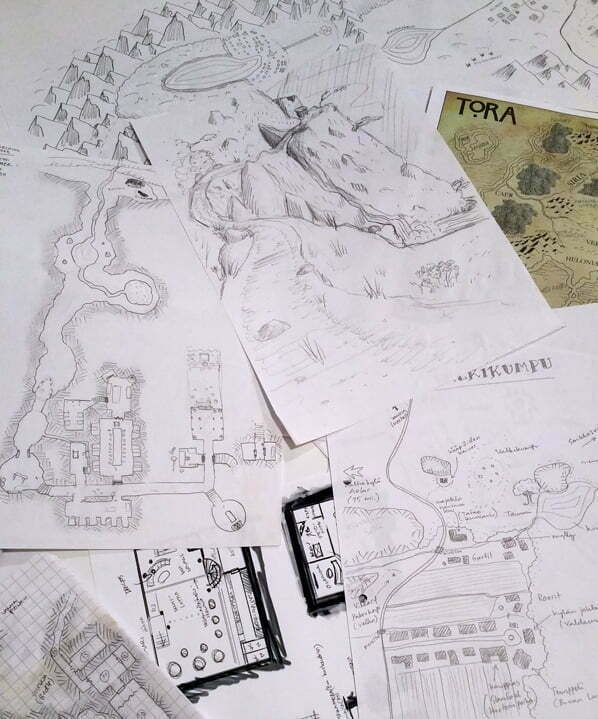 Seven of those were original maps and four were “remastered” mapvember maps. Five of the released maps were patron supported. Thank you all for your support! It means a lot to me. My plan for Patreon content has been so far to focus on science fiction themed maps and other resources, but during the holidays I’ve been thinking if this is putting unnecessary constraints on my creativity and giving wrong impression of my creations at the same time. What I’m trying to say is that I’m not planning on drawing just spaceships and space stations, but my intention is to make much more diverse content that would also fit science fantasy games and settings like Numenera, Strange, Titansgrave, Astraterra or Eberron. For example, I have plans to do a base or village built in giant trees (inspired by Avatar’s Pandora and Star War’s planet Kashyyk) and a dungeon-like ancient alien temple (inspiration drawn from lost Jedi temples of Star Wars, forsaken ruins of the Indiana Jones movies and the Engineer’s structures in Prometheus). 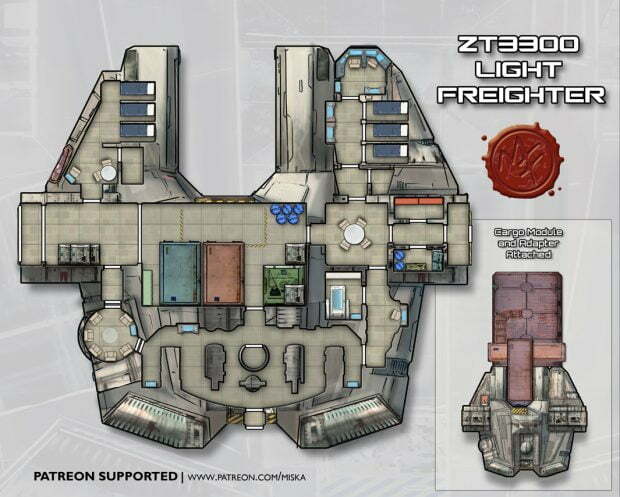 These both are intended as scifi maps, but also usable in a variety of genres and settings. Short version: I’m dropping the “scifi” out of my Patreon title and description, but keep on doing what I’ve been doing so far. I believe that in the end my work speaks for itself without any specifying labels. I found some of my old maps from my RPG archives (piles of papers stuck in boxes, behind boxes under the stairs in the cellar) and there were maps from my Iron Kingdoms / D&D (ca. 2001-2003), space opera (ca. 2005-2007) and modern occult action (ca. 2008-2009) campaigns. 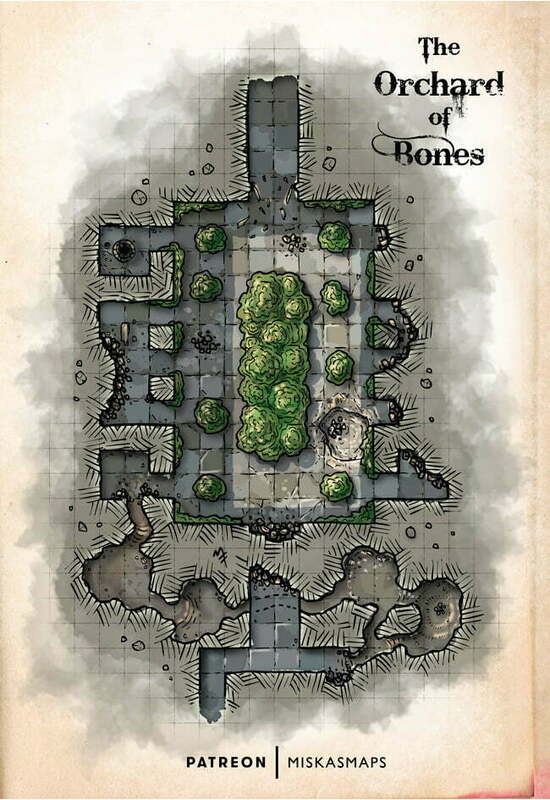 Most of the maps are quickly drawn, but some are well planned and I’m thinking about re-drawing those. I’ve been looking for some old maps for Trinity and Shadowrun from the 90’s, but haven’t found those yet. 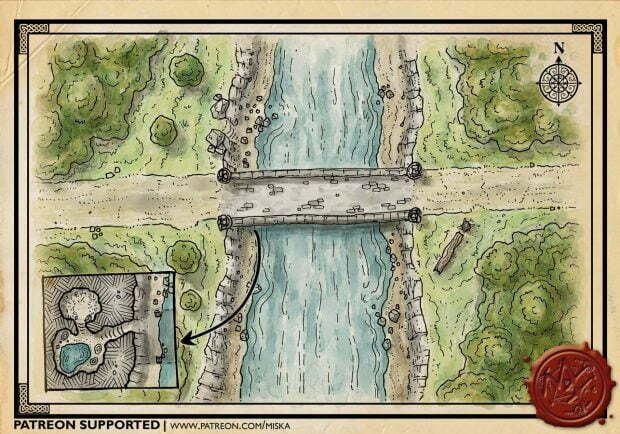 Also, I’ve gone through my old adventure modules for map references and ideas. Let’s see if I might even write some old adventures into one-pagers, or even longer adventures. It would be fun to share these with you all.